Is this a good movie? Yes. Is this an amazing must see movie? No. Is it as good as The Avengers? Not a chance. Will it entertain you? It should. Batman and Bane's voices are hard to hear, don't take someone talkative with you to see this movie. The movie has holes, and the story drags a little in the middle, no worse than Spider-man. The film starts by going through how Bane comes to be in Gotham, the start of the film made little sense and it was hard to shake the feeling that something important was cut out and left out that actually needed to be there. Fast forward to Gotham and Selina Kyle, AKA Catwoman (who they never one referred to AS Catwoman, only by her real name), who steals Bruce's mothers pearls while at a dinner party in celebration of "Dent Day", A public holiday centered around the death of Harvey "Two Face" Dent and the lie that Batman killed him. They have a scene where they explain and lay it out that not only has Batman vanished 8 years ago, but Bruce Wayne has become a recluse. Not that anyone has been smart enough to put two and two together "Oh, Batman and Bruce both hid away around the same time, wonder if they could be the same guy?". OK, that's not entirely true, Bane knows who he is, as does young hot head police officer, Thomas Blake (played by Joseph Gordon-Levitt). Gordon carries a speech that he thinks twice about reading, It seems that over the eight years, Gordon's soul has been burdened by the lie. later this is revealed to be the truth of Harvey's death that Bane gets a hold of, but is not really needed for the story and has little impact for such a huge build other than upsetting the young hot head cop, Thomas Blake. Thomas all through out the film is the 2nd lead, constantly trying to get people to believe in Batman. Sadly enough it took Catwoman to steal Bruce's pearls, Officer Blake's guilt trip and the excitement of facing Bane to get the Bat back in to action. Only after Alfred leaves due to him not wanting to bury another member of the Wayne family. Bane's voice was pretty garbled and between him and Batman I can imagine some youtube video parody stuff that would be pretty funny between the two. Bane's mask wasn't the only issue, Bane's voice was strong and dominating, then soft and posh and finally excitedly high pitched. Anne Hathaway did well with the poor dialogue she was given, but her character was void and empty, it felt as though she was there ONLY to be Batman's love interest. At least we didn't have one of those "I need to tell you a secret" moments. 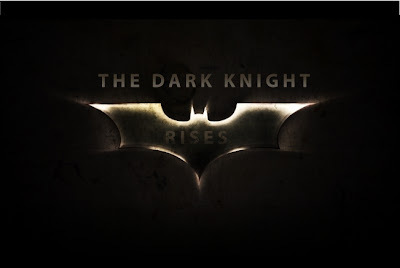 All in all it felt like two movies, after Bruce's back gets snapped he claws his way back to save his beloved Gotham. After doing so he pretends to give his life, doesn't, and runs away with Catwoman. Before the film ends, Thomas (played by Joseph Gordon-Levitt) quits the police force and goes off to find the Batcave. and it's revealed his name is "Robin"
Hey DC, why put in the robin scene after announcing no more DC movies after Superman: Man of Steel for three whole years? Joseph could EASILY play a Robin or Nightwing. All in all, not a bad movie, not as good as the previous two and a bit of a let down as the final in the trilogy. Solid review Al. This is probably my favorite movie of the year for one reason and one reason only: it was probably, if not, the most epic piece of cinema I have seen in quite some time. Great send-off to everybody’s favorite caped-crusader, even as sad as it may be. Now it’s just time for Superman to hit that big-screen once again. Thanks Dan. I really liked the use of the Bat vehicles. Though they never explained how Bane knew of the storage of them under Wayne's office building. Going to see this friday night ... Thanks for the solid tell-it-like-it-is review.